Join our Facebook group at http://facebook.com/groups/theamericanbottom45 if you dig shows devoted to minor charters and non-charters from the 60's, 70's and 80's! THIS WEEKEND ON "THE AMERICAN BOTTOM 45"
Certain well-known musicians didn't have overnight success in the U.S.; they started out by languishing in unknown U.S. bands or else they had some success in UK bands while domestic record labels weren't interested enough yet to give them that big push. This weekend on "The American Bottom 45," it's a "Before We Became Famous" show! The lineup includes The Hassles, The Tourists, Spooky Tooth, The Wind In The Willows, Jamestown Massacre, The Nazz, Meadow, Milkwood, Black Sheep, Sky(not the prog rock band), Pages, Gen X, Clover, Baby Grand, Blue Angel, and Shiloh. If you know your music well enough, then you will know who some of these famous musicians were! 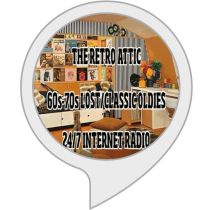 Tune into the show on Saturday night 10/10 from 8 to 9 PM eastern at http://retroatticrareoldiesradio.com or search for The Retro Attic on Tunein.com, Nobex Radio, or ITunes Radio in their "Golden Oldies" category. 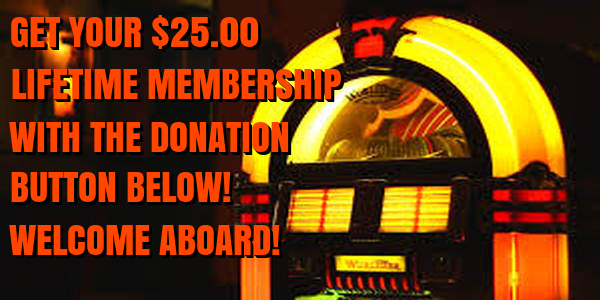 Join the show's Facebook group at http://facebook.com/groups/theamericanbottom45 and help shape up The Retro Attic's bottom 45 playlist when it turns over to 60's/70's on November 1st. Requests can also be made for the bottom 45 playlist on the new related station "Awfully Awesome Eighties." Archived episodes and subsequent shows will be found at http://mixcloud.com/gilbert-matthews. 1. Beginning on November 1st, The Retro Attic will become an all 60's and 70's format. Those of you who were big fans of the golden era of AM pop and FM underground radio will probably welcome this change. The format will remain lost and classic top 40 hits with 3 bottom 45's included every hour. There will be no more Featured Artists Of The Month due to the need to concentrate on running 4 stations and a podcast; with the narrowed demographic, there really wouldn't be enough artists to choose from to make it worthwhile. Website: http://retroatticrareoldiesradio.com. Facebook group: http://facebook.com/groups/retroatticrareoldiesradio. 2. After this weekend's show, The American Bottom 45 will be exclusively an occasional Mixcloud podcast. I believe there is still an audience out there who likes the other side of the charts and rarities no matter what the decade is. So all you have to do is join the show's Facebook group, be notified of the latest show's upload, and you can then listen to the show at your convenience. Mixcloud page: http://mixcloud.com/gilbert-matthews. Facebook group: http://facebook.com/groups/theamericanbottom45. 3. My newest stream, Awfully Awesome Eighties, will be starting this weekend. All 80's, all the time! Lost and classic top 40 hits with 3 bottom 45's included every hour and a main goal of catering to those who knew their 80's MTV programming inside and out! Website: http://awfullyawesomeeighties.com. Facebook group: http://facebook.com/groups/awfullyawesome80s. 4. I am still on the fence about a "Malted Memories" station with a primarily 50's format(and dashes of late 40's). Right now I have 3 people interested in it. I'll probably take the plunge since I do have a sponsor, but I will announce my final decision soon. Hopefully this all makes sense and will eventually improve my overall listener numbers. Some of us are very open-minded when it comes to oldies music, but the reality is that we identify with a certain era of music...that time when we were growing up and always had a radio by our sides(for me, it was most of the 70's and into the early 80's)! I've seen too many instances on The Retro Attic where a tune from '83 plays followed by one from '59, then one from '71, etc. This typically has resulted in listener counts suddenly dropping off. The narrower demographics should make listeners stick around more, simply because the tunes were from "their era." That's all for now! Rest assured that I won't be announcing new stations that play nothing but roaring 20's vaudeville music or a 90's grungemania extravaganza...I'm comfortable with the above ventures! I look forward to your comments! "AWFULLY AWESOME EIGHTIES" IS JUST DAYS AWAY! We are just days away from the test launch of "Awfully Awesome Eighties!" If you were/are seriously obsessed with the music of the 80's, then you will want to bookmark this station! I have set up a basic, "a work still in progress" webpage for the station; at this point, you will see a description of the station's mission and a few examples of the tunes you will be hearing via "Awfully Awesome Eighties TV." Simply put, nothing from the 80's will be able to hide...all of the hits, misses, indies, new wavers, spandex gods, etc. will be resurrected! 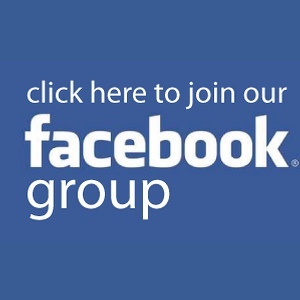 Join our AAE Facebook group by going to http://facebook.com/groups/awfullyawesome80s. You can also take a glimpse at the station's webpage by going to http://awfullyawesomeeighties.com. In other news...I have a potential sponsor for a "Malted Memories" station that will play nothing but hits and rarities from the late 40's through 1959. I played a decent number of those tunes a couple of years ago, but they really weren't what the majority of The Retro Attic's audience was expecting. 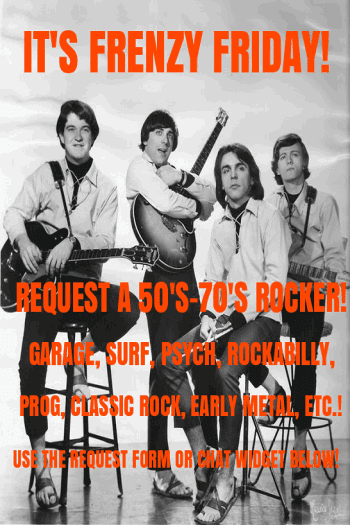 So my question is...are there any of you out there that would listen to a late 40's-1959 format that explored the roots of rock n' roll along with cool vintage jazz and blues?